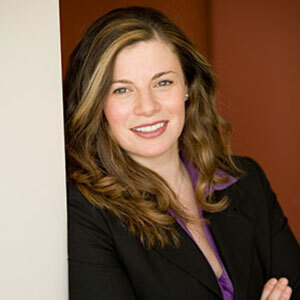 Sandra Shpilberg is the Founder and Chief Executive Officer of Seeker Health. She is an expert in patient engagement in rare and serious diseases. Prior to founding Seeker Health, Sandra was an executive of BioMarin Pharmaceutical, Inc. where she led commercial launches and product development for therapeutics for rare diseases, and later on at Nora Therapeutics. Her core belief is that “Nothing Happens Without Patients,” which translates into services and products that are completely patient-centric and designed to accelerate innovation in drug development. As an industry, we are facing a huge opportunity to harness the power of social and digital media to engage rare disease patients and expedite trial enrollment. Most drug development sponsors, must now allocate years to enroll a rare disease trial. Social and technology platforms allow us to significantly compress those timelines and bring treatments to patients who need them sooner. What are some potential applications of technology in rare disease research? Patients access social platforms like Facebook many times per day. How are we using that piece of predictable attention as an opportunity to educate about clinical trials for a rare disease of interest to that patient? We now can, and should fully leverage the opportunity to reach patients where they are: online. Educating patients and caregivers about clinical trials and their role in treatment approval. Effectively identifying patients with rare diseases. Efficiently activating patients to participate in clinical trials. Seeker Health is a digital health company innovating the way that patients learn about clinical trials and sign up for participation. We are using social and digital media to find, engage, pre-screen and track patients to randomization in the most targeted and effective ways.